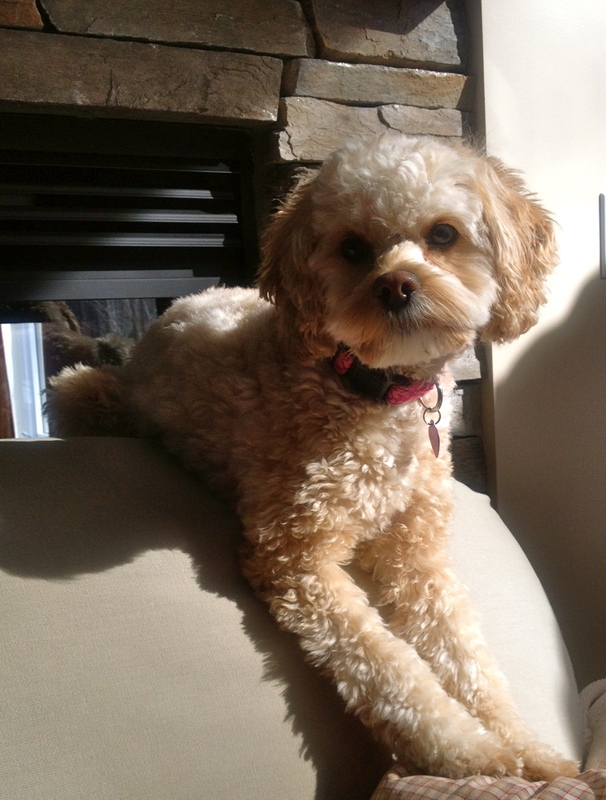 Well, let’s see…it’s been over a month since I last posted – seriously! Time has just flown by. I’m still struggling with my diet, trying to figure out what works and what doesn’t. While I haven’t been blogging/commenting very much, I’m still reading them! I miss blogging, but I’m just living life and not stressing about it! Annnnd that’s the past month or so, minus one important thing and the reason I’m posting today: spring break! Because I’m teaching high school now, my spring break came right in the beginning of April, when it was actually looking like spring (instead of the beginning of March, like college breaks). A while ago, my mom and I had decided to go to Florida on a little Universal Studios/Harry Potter World/Disney World rendezvous. So, Friday, April 4, we jetted off to do just that! We left early in the morning, but didn’t end up getting to Orlando until the afternoon. We got our rental car and, with the intent of heading off to the hotel to drop our bags off and change into shorts (!! ), we got lost. Of course. 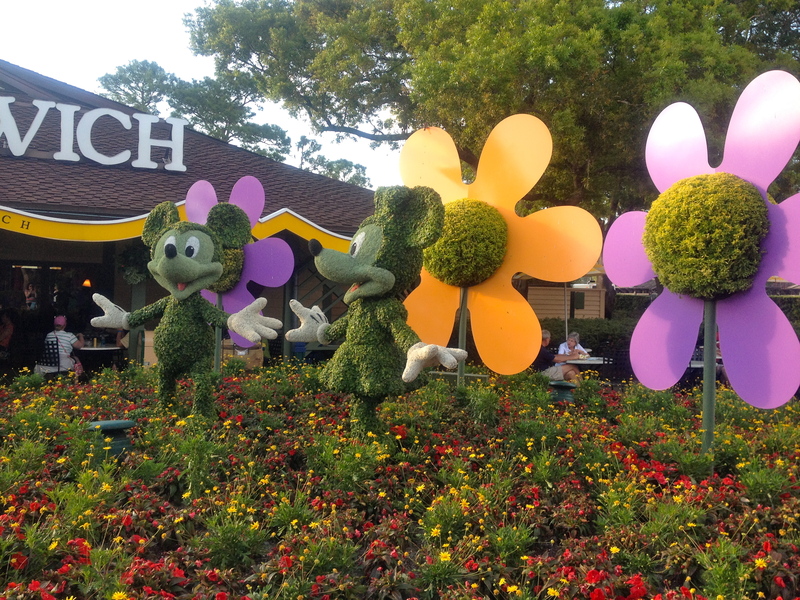 As we were traveling down the highway, we spotted signs for Downtown Disney, and decided to reroute. Why not? So off to Downtown Disney it was! The first time I was there was in 2001, and the second was in 2007. I don’t really remember much of either of those visits, but I really enjoyed it this time! I think it’s been built up a lot more in the last few years, and there was a lot to do. We began with a quick meal at Raglan Road, an Irish pub set in amongst a row of restaurants, and spent the rest of the evening wandering around. 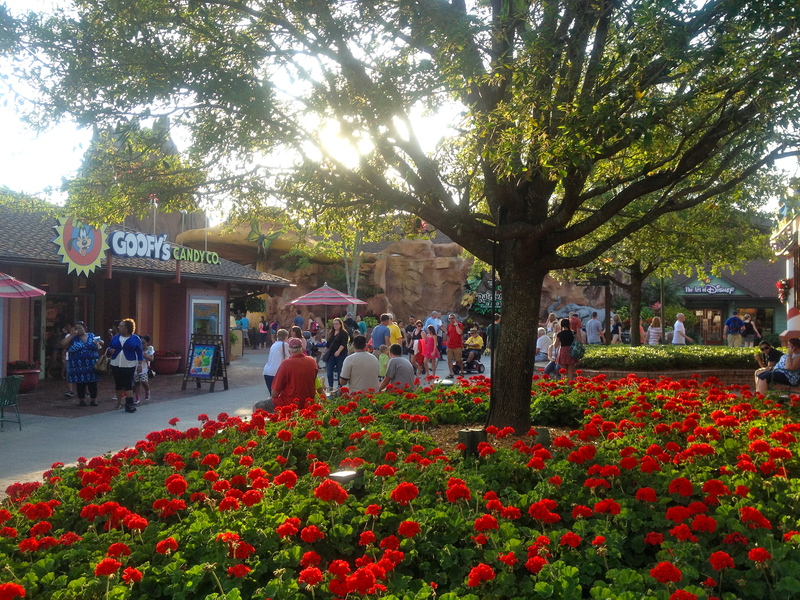 Downtown Disney is pretty cool for a number of reasons: first off, it gives you that happy, Disney feel, but it’s completely free – parking, too! It has a so many shops and places to duck into, but also loads of restaurants, clubs/bars, and other cool things for people who want to spend a night out on the town. 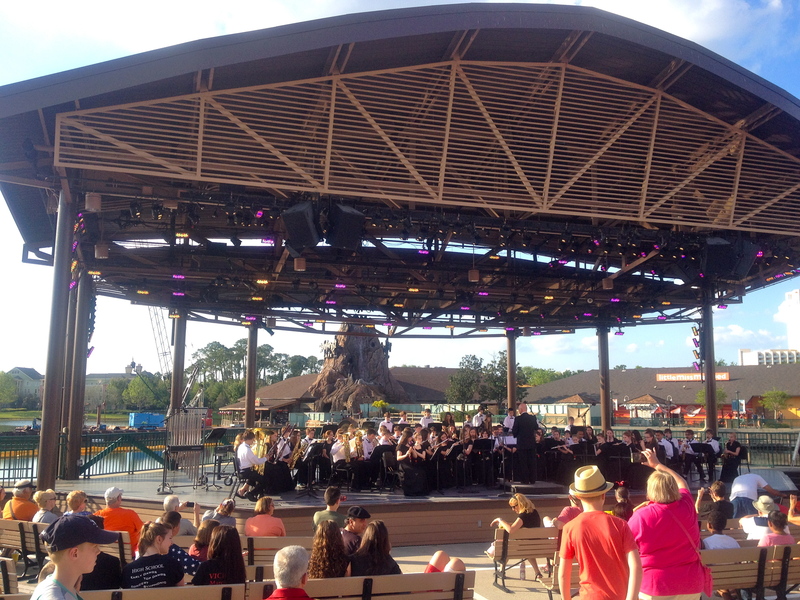 Cool story: in 2007 I came to Disney World with my high school orchestra and we played a concert at this stage! When the sun began to set, my mom and I decided to head back to the hotel – we’d been awake and running around since 4:30 that morning, and were ready to get some sleep and recharge for the next day! 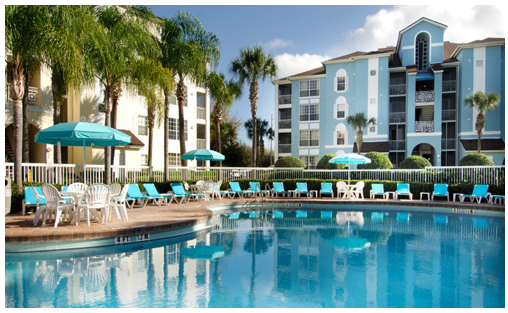 We stayed at a place called Grand Villas Resort, which was about 10-15 minutes away from Disney and Universal Studios. We actually found it (and our plane tickets) as a deal on Groupon. The hotel exceeded our expectations! I don’t know what we were expecting, but Grand Villas was great. I didn’t get any pictures of the inside (I guess I forgot to…? ), but it had a small kitchen complete with full-size fridge and an oven, and a really nice, spacious bathroom. The kitchen was especially great because we could buy our own food and keep it there, instead of having to go out for every meal and spend a whole bunch of money. Perfect! Thanks for reading, and have a great Monday! 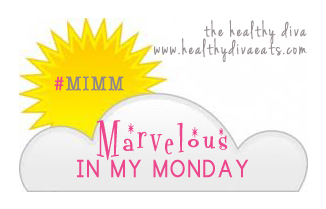 I’m linking this post up to Katie’s MIMM – first time I’ve linked up in what feels like forever! P.S. Thank you so much for the lovely comments you left on my last posts. I apologize for not writing back to them – it’s a time management thing – but hopefully I’ll get better at it! So jealous, it looks amazing! 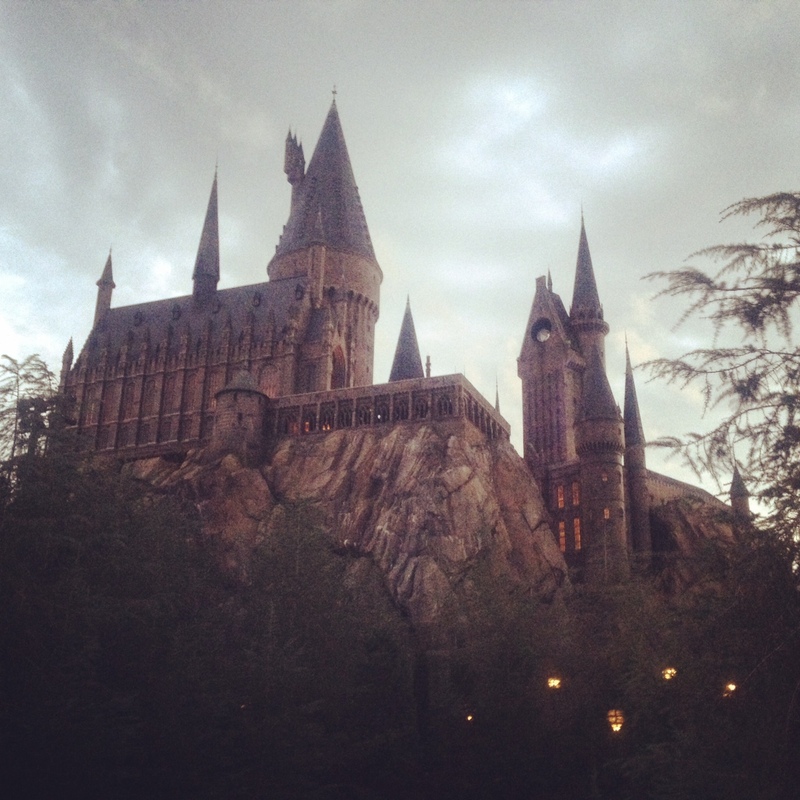 Though I must say I do prefer the Universal Studios…I think it’s because I’m more a roller coaster kinda girl. But I loved Disney World and Downtown Disney when I was there too. So long ago now…. I’m totally a roller-coaster person, too. 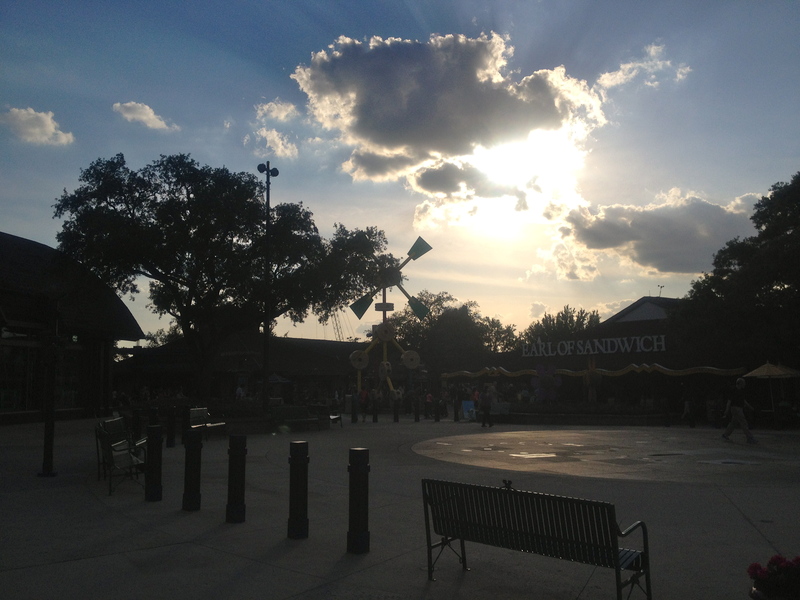 Downtown Disney is fun to walk around, but I agree – theme parks are better! 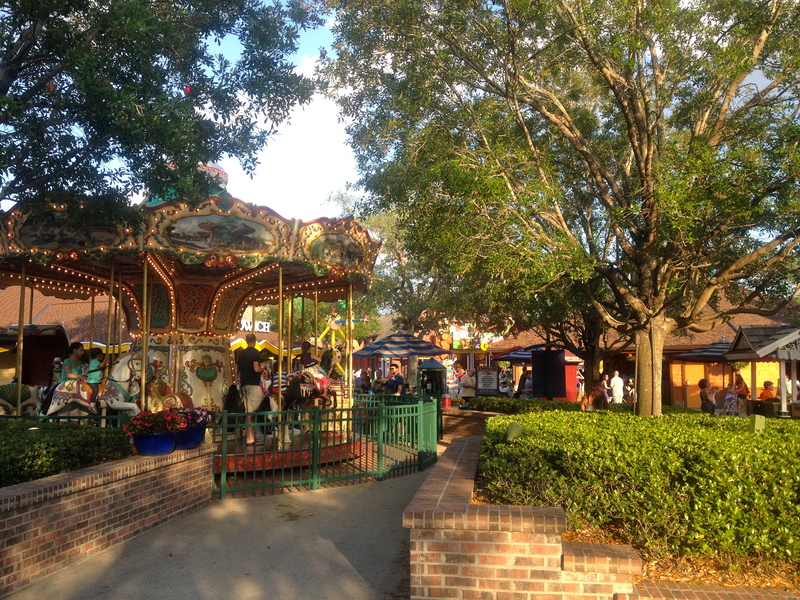 I love Downtown Disney! Do they still have all of the lego figurines there? That was my favorite part. I’ll admit that before reading a post, I always scroll the pictures first. Bad idea, I know, but it’s what I do nevertheless. Upon seeing Ella, I read the sentence above her picture and misinterpreted it as her passing away 😦 Glad upon actually reading through the whole post it was a completely different story! 🙂 I can’t wait to read about Harry Potter!!!!! OH GOSH I’m so glad that was misread, too! Haha. They do still have a huge Lego section – it’s pretty cool! Off to play catch up!